Our products are made by hand and using the latest generation machinery, totally made of steel. This ensures that our products are full of goodness and are typical of our local traditions. The whole process is in full compliance with the health and hygiene standards using the self-checking HACCP system , Tracking and Traceability. Our Products are made from fresh milk collected and processed within the same day so as to ensure maximum freshness. Our High Quality milk is collected daily from free grazing, controlled herds in the Iblea area. The milk is collected in refrigerated containers and pasteurized by raising the temperature from +4 °C to +72 °C in a short time (about a minute) and then to +36 °C. 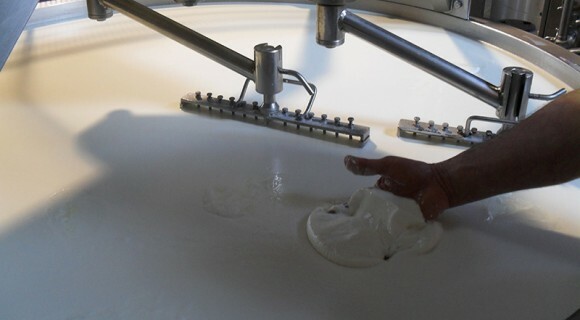 It is then put into a tank called "Polyvalent" where selected lactic ferments and natural rennet are added. 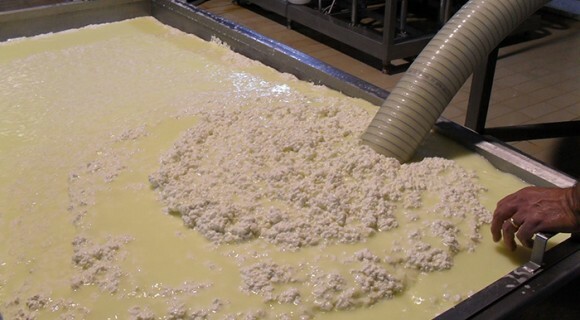 After about 45 minutes, coagulation takes place (the milk becomes a homogeneous and gelatinous mass called curd), which, through the action of two mixers, is broken up until it reaches the desired dimension. Finally, it is drained in micro perforated trays carriages, which serve to separate the solid part (cheese) from the liquid part (whey). 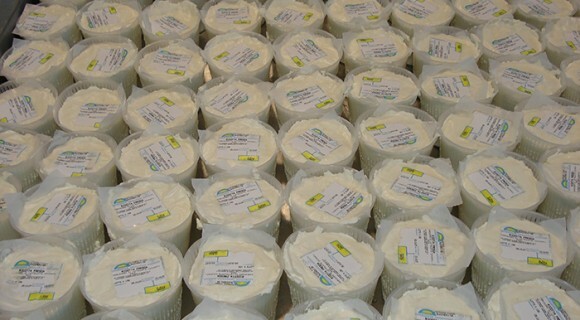 Our company uses only High Quality milk and produces cheeses using cow's, sheep's and goat's milk. 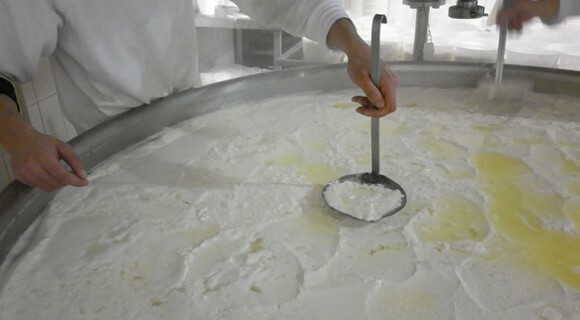 There are different types of cheese such as pressed, spun, soft, and mouldy rind, Mozzarella, fresh and salted Ricotta, as well as historical products such as the Ibleo “Cosacavaddu” and the Sicilian “Canestrato”. 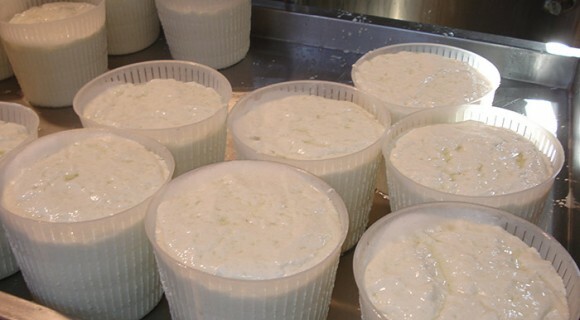 There are various types of cheeses: such as Tuma, primosale which can also be flavoured, Provola or Ibleo Cosacavaddu, soft or mouldy-rind cheeses. Instead the liquid part, called the whey, is put into a container called a "double bottom". 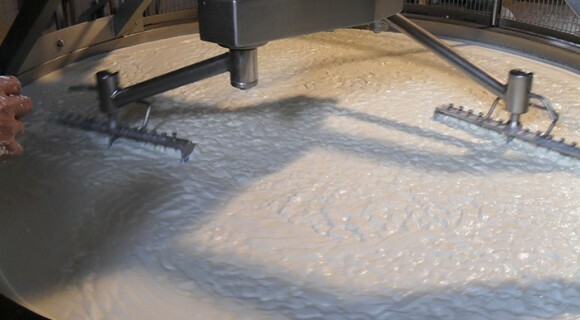 Here, it is heated to a temperature of about +80 ° C, and the addition of milk allows the ricotta to flake on the surface. It is then collected with special spoons and placed in disposable plastic moulds. The training and continuous professional development received by our staff, together with the female-run management, ensure that we obtain our goal which is to supply high quality, genuine products following local traditions. We protect our territory, our traditions and above all our 100% Italian products.